The Go Zim team is set to travel south this weekend, making their way on Saturday to Gweru and Gwanda. 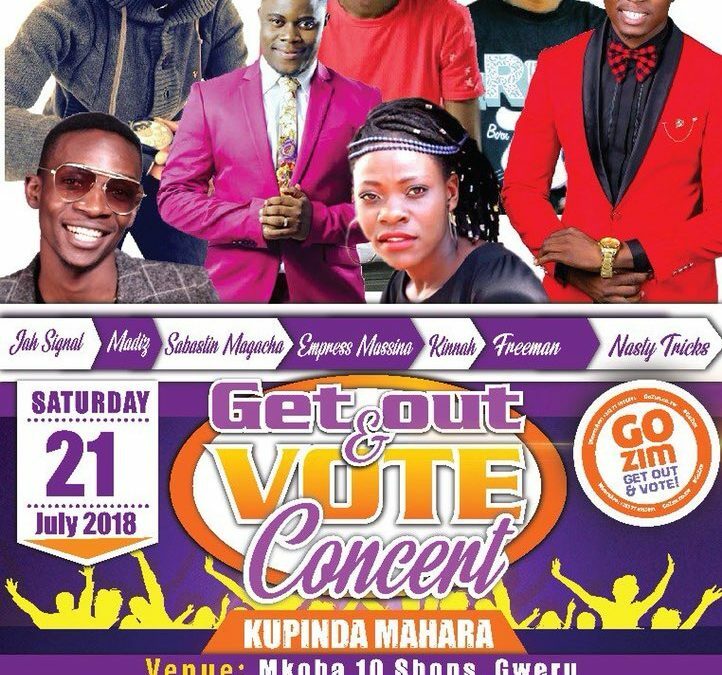 As with the Epworth, Chipinge, Zaka and Bulawayo editions of the campaign, a host of musicians and organisation representatives will take to the stage to encourage registered voters to take the next step and get out and vote. If previous events are anything to go by, there will be a lot of fun had by all. For those of you who are in Gwanda, you can find us at Nkashe Village Centre. 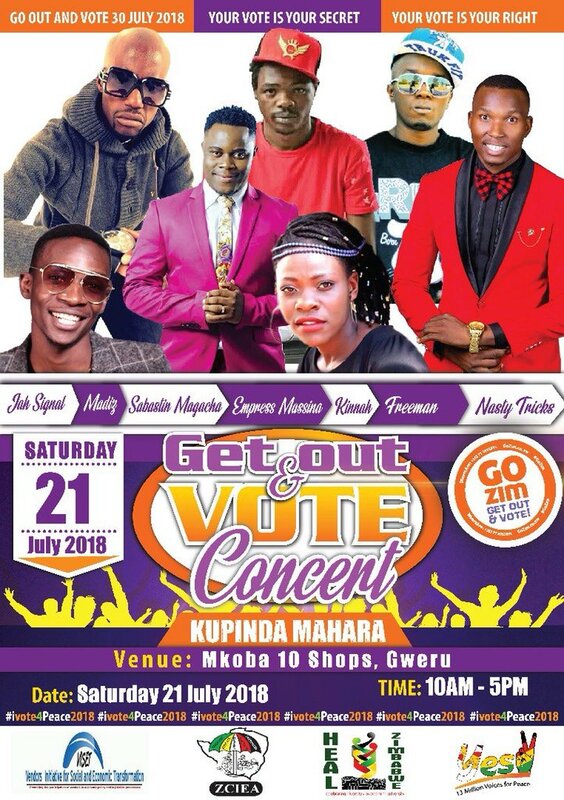 Following these events, the Get Out and Vote campaign hit the road next week for a Harare-based roadshow. The team will continue to spread the #VoteInPeace message through direct outreach in communities, churches, pubs and beer halls and market places, with the hope of making the marginalised communities, youth, women and people with disabilities a priority. And, of course, make sure that everyone who is eligible to vote is will take a stand and vote. For more information about the event, pop over to Facebook, and to keep up to date with the rest of the events to come, follow us on Twitter or Facebook as we announce the upcoming events throughout July! And remember, when it comes to 30 July, Go Zim, get out and vote!